but alive to God in Christ Jesus our Lord. Every other living thing was created by God with just a word and it was instantly a living creature. Only with man did God take time to form him from clay and then ‘breath into his nostrils the breath of life’. God could have spoken man into life and it would have been so, but because we were created in His image and for His purpose, our life began with the very breath of God. God created us from the very beginning with the need to breath in His breath of life. Today we are given that life breath through the Holy Spirit. To be alive in the flesh, you must breath, and each breath gives us the fuel and energy we need to walk, talk and function in the flesh. And as long as we are healthy, we don’t have to think about it. Breathing just happens. As believers, we are alive in Christ and we live by breathing (if you will) the Spirit of God. Each breath gives us the spiritual strength and energy we need to walk, talk and function in a way that glorifies God. A healthy spiritual life is one where we feel the presence of God in everything we do. Every decision we make, every task we do, and every job we perform we do with the guidance and strength of the Holy Spirit. We don’t have to stop and turn on a ‘spiritual oxygen tank’ each time. We breathe in the leading of God like we breath in oxygen. We don’t have to force ourselves to breath in the word of God, it is something our new body does naturally, as long as we have a healthy relationship with God. As Christians, we should be desperate for every breath of God. We should feel suffocated if we go without breathing in His word and instruction daily. Have you ever been swimming under water and it took you a little longer to get to the surface than you anticipated? By the time you broke surface of the water and got to take that first breath, you were desperate for it. So desperate you swam with all your strength to get to the surface as fast as you could.This is how desperate we should be to breathe in the word of God every single day. And if we miss that time, we should have such a sense of suffocation that we do all we can to find a moment to breath in His word. Unfortunately, too many times we begin to learn how to live with a little less ‘oxygen’. Upon our point of salvation, we are eager to read God’s word as much as we can. Then life gets in the way and we start to miss our quiet times in the word or listening in prayer. Eventually we just adjust to this new level of spiritual oxygen and don’t realize how desperate our soul is for this breath of life. It’s like adjusting to new altitudes. I remember when we went to Tahoe one year and my youngest developed altitude sickness. His little body was desperate for the familiar levels of oxygen. However, after 2 days of breathing at this new altitude, his body adjusted and he seemed just fine. He functioned as he needed to, but with a new level of oxygen. How long has your body adjusted to the level of spiritual oxygen you have been giving it? 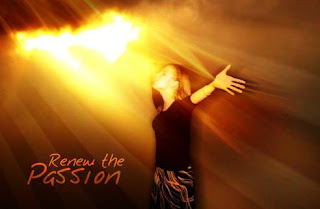 Is your new body given to you through Christ desperate for more of God’s word? I also remember a time as a child when I was visiting my grandparents near Los Angeles, California. Our (my 2 sisters and I) visits revolved around the pool they had in their back yard. We spent hours and hours running, jumping and playing in that pool. Our little lungs would be filled with extra portions of oxygen as we exerted ourselves day after day. One evening, I awoke with a tremendous pain in my chest. A pain that increased with each breath I took. I remember fearing for my life at one point, not sure what was wrong and if I needed emergency care. Turns out, my Texas lungs were overcome with the large amount of pollution in the Los Angeles air. This pollution was causing my body great pain. I have remembered this pain at times when I have realized that I have filled my soul with all kinds of pollution. When I am beaten down with defeat, I see the pollution living a life driven by personal desires of accomplishment instead of God’s will for my life. When I don’t feel valuable, I see the pollution of a life driven by thoughts of what others think instead of how God sees me. When I make poor choices, I see the pollution of worldly expectations instead of the clear mind of Christ. When I am overwhelmed with shame or guilt, I see the pollution of the enemy whispering to me the memories of my past sins instead of remembering that they were all covered by the blood of Christ. When I am paralyzed by fear, I see the pollution of the enemy reminding me of times I have failed instead of focusing on the strength I am given through the power of the Holy Spirit. What pollution are you breathing in today? Is there a pain in your life that God is using to point out that pollution so He can give you new breath? As you sit with God today, know that His scripture is pure breath of life. Know that this time of prayer and meditation gives you full levels of much needed pure oxygen to fuel your soul. Stop for a minute and take in a deep breath. Then step into this day strengthened and prepared to continuing walking, working and making decisions with the power of the Holy Spirit. 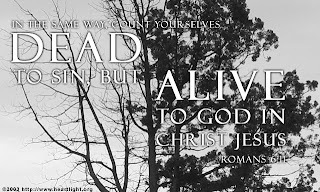 Be alive in Christ and dead to sin! Our recipe today is Take a Deep Breath. God of life, I come to You desperate for every breath. Man was created with Your breath of life and I cannot live without it today. I cannot live a life that glorifies You without daily breathing in the words of scripture. I take a deep breath as I sit with You in prayer and meditation. Strengthen me Lord; prepare my heart to draw even closer to you. If I wander from our time together Lord, give me such a sense of suffocation that I will do whatever it takes to come back to the table and spend time with You. Father, I want to feel the pain of any pollution in my life that keeps me from living a life driven by Your pure breath of life. Lord God, You are my life. I am a new creation through Christ. I come to you in the name of my precious Savior, Jesus Christ. Amen.